Search Results for "cherry pie"
Serving a piece of cherry pie. Ingredients for baking cake stuffed with fresh cherry pie. Female preparing cherry pie. Sprinkle the pie with sugar. Ingredients for baking cake stuffed with fresh cherry pie. Female preparing cherry pie. Spread egg wash over the top of pie. Ingredients for baking cake stuffed with fresh cherry pie. 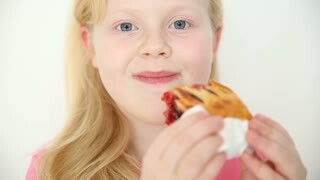 Female preparing cherry pie. Delicious Homemade Cherry Pie with a Flaky Crust. Cutting a cherry pie. Closeup of a slice of cherry pie on a plate. Sweet homemade cherry pie. 1960s: Bakery worker decorates clowns on cake. Man and boy watch workers make pie. 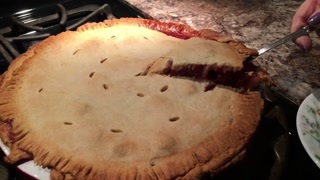 Woman scoops cherry pie filling from large bowl into uncooked pie crusts. 1960s: Cherry pie filling fills pie crust. Worker covers top of pie with crust. Man and boy move out of the way. Man places trays of pies into oven. Preparing at home fresh and sweet homemade cherry pie on a kitchen counter putting inside red cherries in the raw dough. Slice of cherry pie with a scoop of ice cream on top with cherries on a plate. Rolling dough. Female preparing cherry pie. Recipe for homemade pie on short pastry. Making cherry filling. Cooking homemade cherry pie. Close-up of hand woman takes cherry from homemade cherry pie on white plate. Preparing at home fresh and sweet homemade cherry pie on a kitchen. Mom and daughter are preparing a cherry pie. 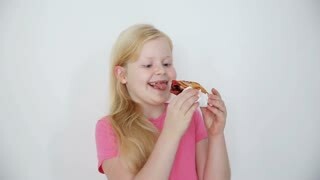 A child learns in the preparation of culinary products. 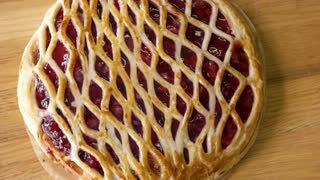 Delicious Homemade Cherry Pie with a Flaky Crust. Slice of homemade cherry pie.